This posting is based on a quick customer demo that I did the other week. It demonstrates running Kotlin code in different public clouds. To be more precise: We use Kotlin together with Spring Boot to create a somehow minimalistic REST-like application that is running on multiple, load balanced instances on AWS Beanstalk or Oracle ACCS. Kotlin is one of the upcoming, trendy JVM-based languages. It’s syntax is close to Java, but just sometimes more convenient. The language is backed by two industry giants: Pivotal announced support forSpring and Google officially supports Android development with Kotlin. The Kotlin language follows the Java coding conventions, but makes the semicolon mostly optional (great!) and adds null-pointer safety (you never had problem with this in Java, did you?) and string interpolation on top of that. Although Kotlin packages are same as in Java in reverse order, in Kotlin package names don’t have to match to folder structure (great!). Interesting enough, most Kotlin control structures are expressions. We will use Kotlin together with Spring Boot in this posting. For the purpose of this demo we will create the smallest possible application that is still helpful to learn about the synergy of Kotlin, Spring Boot and cloud. 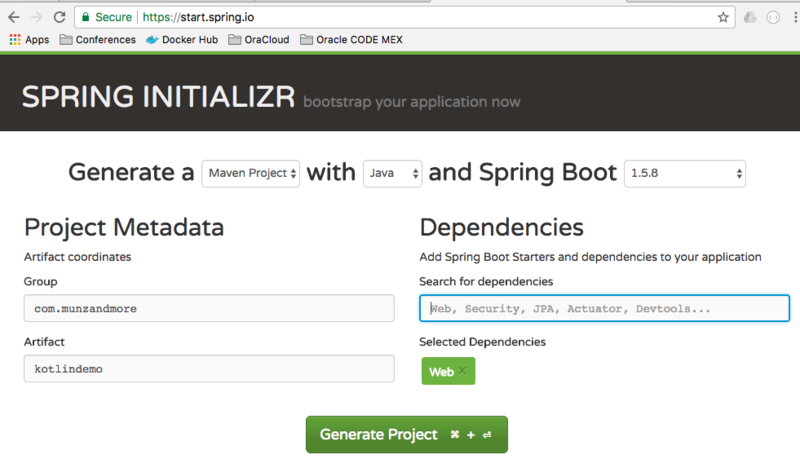 To get started, we create a maven project for Spring Boot with the spring.io initializer. The project will contain an empty Spring Boot application and the maven pom file amongst others. To get some meaningful output we add another Kotlin class: a controller with three functions. Did you know, the “fun” in Kotlin is for function? the hello(World) function that simply echoes a name. a func that shows how to access java.util.Date from Java and returns the time. a info func that show a bit of load balancing magic when deployed on ACCS. We can build the project with mvn package from the command-line (or from the IDE, as shown in the web cast). Being developed by Jetbrains, Intellij offers great support for Kotlin. 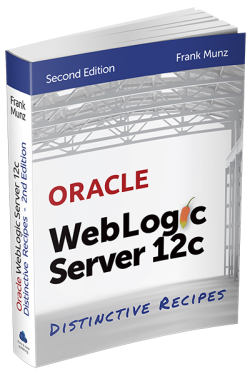 In this webcast I simply use Netbeans. This little demo is more real life than you might think. I will show you to run Kotlin in two different clouds. 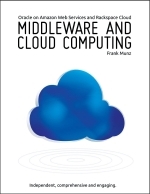 These days I see multiple clouds at my customers usually. Simply choose the one you like most. 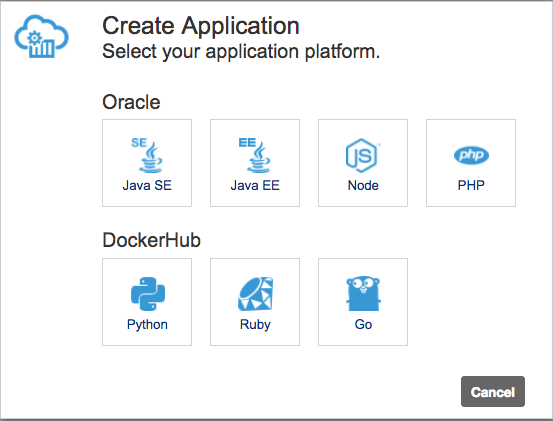 ACCS is a Oracle Public Cloud PaaS service that provides several language runtimes. ACCS is based on Docker containers, but don’t worry, you won’t see any of them. With ACCS you can easily deploy Java, Java EE, as well as Python, Ruby, NodeJS and even Go code. Also it supports spinning up multiple instances with load balancing. However, there is one more thing: to successfully run the .jar file we need to add a manifest.json file that contains the exact command how the jar file will be started in the Java container. It should be all obvious watching the webcast. 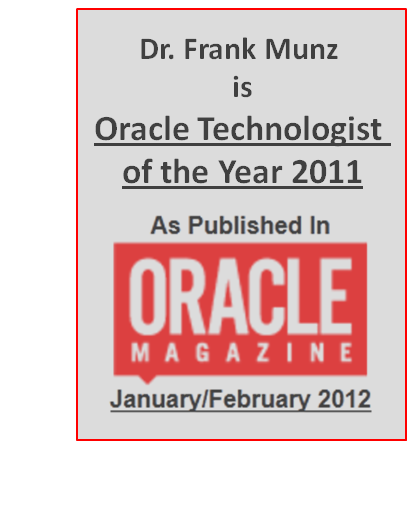 Check my other posting to learn about ACCS and Java EE. The AWS Beanstalk deployment isn’t more complicated than the ACCS one. Actually even the manifest.json file can be omitted. Beanstalk implicitly understands how to run a .jar file (which of course is easy in most cases: java -jar demo.jar). So all you need to do is upload to Beanstalk. However with Beanstalk we have to make sure to include a SERVER_PORT variable and set its value to 5000. This is required since Beanstalk is internally listening to port 5000 but Spring Boot uses 8080. I created a web cast for you with all the details. Access the demo code from github. TO DO.